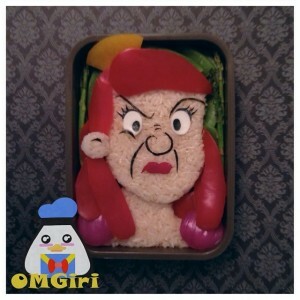 OMGiri Creator Mike Kravanis Wows with Disney Bento! 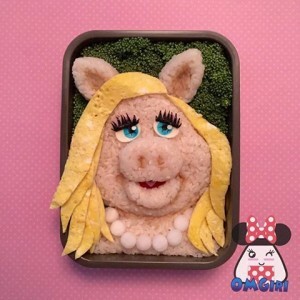 If you’re a Disney fan and on Instagram you’ve probably seen Mike Kravanis’ gorgeous bento boxes on his OMGiri account. 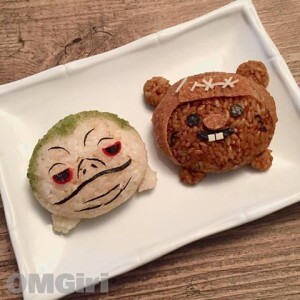 Mike Kravanis is an Instagram food artist with a focus on bento boxes featuring character-shaped onigiri (kyaraben). Mike has created over 400 unique bentos featuring characters ranging from the classic Fab 5 to the characters from Disney’s soon to be released, Zootopia. Mike dreams one day of turning his part-time hobby into a full-time job making Disney-inspired onigiris at a Disney park and is well on his way! 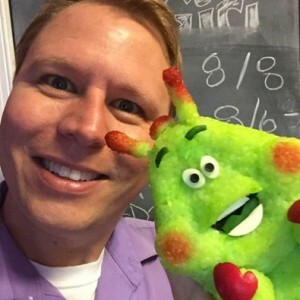 Mike has been featured numerous times on the Disney Parks blog. Some of our favorites have been Oogie Boogie, Turkey Lurkey, as well as Anger and Joy from Inside Out. After following Mike on both Twitter and Instagram we knew his work was perfect to showcase on Geeks Who Eat, so without further delay let’s get started! How long has bento been a hobby for you? I have been making bento boxes since early 2013. My interest in food art in general took root after a trip to Tokyo Disney Resort and Hong Kong Disneyland. I was amazed by the adorable and creative food both resorts served. It was springtime and Tokyo Disney had sandwiches shaped like Donald Duck’s feet, melon buns shaped like Mike Wazowski, and sweet mochi chicks in Mickey egg cups. At Hong Kong Disneyland we ate at the Crystal Lotus, which is home to the most amazing character-shaped dining experience. They offer dim sum shaped like characters, including the Three Little Pigs, Chicken Little, Duffy the Bear, and the Little Green Men from Toy Story. While in Japan I bought a couple bento boxes to motivate me to take my lunch to work. I had a bad habit of eating out of the vending machine, or worse, skipping lunch all together. Awhile later, I found a bento instruction book at a Japanese book store which contained a Stitch bento. I ended up buying the book and decided to try making a bento. Funny thing is though; I still haven’t made any of the bentos out of that book. What made you decide to do Disney bento? I have been a Disney fan since I was extremely little. When I was 2 I was obsessed with Mickey Mouse and that last until I was a young kid. At that point I switched to Star Wars and superheroes. Then later, I became hooked again on Disney when the Disney Afternoon shows started to air. My family never really watched Disney animation, so I didn’t get to experience it much until I was older and could go to the movies myself. It just seemed a natural fit, bentos and Disney! How do you decide which character to create? Most days I just make whatever drives my curiosity. Of course, that means a lot of weeks are themed around upcoming movie releases, park events or milestones, and holidays/anniversaries. Sometimes I take requests, but mostly it is whatever I feel like making that morning. What is the process once you’ve decided? I’m not a planner. I find a reference picture or two and just start in. First off, I tint the rice using one of many different colorings, anything from food powders like a ground sesame seeds to a bottled food coloring. There are lots of natural colorings that add color and don’t add an overpowering taste. Next, I lay down a simple layer of rice onto plastic wrap. You use plastic wrap to shape the rice and not touch it. It’s really sticky and you want it to stick to itself, not your hands! I add a little filling for the onigiri to the center and then top it with more rice. From there I just shape the rice into the shape of the character. I make any extra parts, like ears and noses, out of rice and attach them. I cut eyes and such out of cheese or veggies and add nori (seaweed for the details). Finally I finish the box by filling in the extra space with veggies. Do you do multiple tries or just keep working on the one? One is normally enough, but I might work with it a bit longer until I’m happy. I have made maybe 5 where I didn’t like the bento and tried it again another day. How long does a bento typically take? A typical bento with the level of detail I like to add can take me around an hour. Do you eat them afterwards? Yes. Cute food is meant to be eaten! What has been your favorite bento that you’ve done? That’s hard. My favorite keeps changing because of course I love new ones. Though my top 5 all-time [favorites] are Russell (UP), the cutie Evil Queen (Snow White…), Marco & his monster arm (Star Vs.The Forces of Evil), Big Al (Country Bears), and Anastasia (Cinderella). Do you have any advice for someone who wants to try their hand at bento? Just start playing. You might not be perfect when you start, but with anything it takes practice. Also, make what you love and out of the food you love. It’s easier to make something wonderful if you are having fun while you do it! A great way to start is to use a cookie cutter to shape your rice! There are lots of bento instructions books and how-to videos on YouTube. On my Instagram, you can go back and see my first bento (Oswald). You can see how I improved with time and practice. Like anything, it just takes practice. We’d like to thank Mike for taking time out of his super busy schedule to talk with us! You can follow him not only on his OMGiri Instagram account, but also Facebook and Twitter. We hope you enjoyed this interview and here is where your input comes in; leave a comment with someone you’d like to see interviewed, why we should interview them, and we’ll try to make it happen! Next → Next post: Jazz and Jambalaya Returns to Southern Rail!